Want to advocate but need training? There are resources out there that can help. 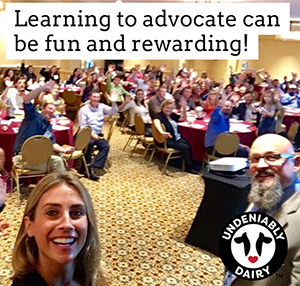 A dairy farmer at a recent conference told me, "I hear all the time that we need to tell our story so our consumers can understand what life is like on the farm. But I'm worried I'm going to say something wrong." If you've never been trained in how to engage a consumer or handle tough questions, it can seem overwhelming to start a conversation with a stranger on a plane, in the grocery store, or on Facebook. But if you can receive some solid communication training and attend a practical workshop or two, being an advocate becomes a lot easier. So where can you get this training? Dairy Management Inc., your national dairy checkoff, and your local checkoffs have partnered to provide free communication workshops for farmers. The checkoff has trained more than 17,500 farmers, staff, and agriculture industry professionals over the past four years. We've also been providing crisis drills and workshops for the past 20 years. We can even customize them for your farm or company, depending on your needs. If you would like more information on these workshops, reach out to me (don.schindler@dairy.org) or Tricia Sheehan (tricia.sheehan@dairy.org). Most crisis trainings are free or and crisis drills are at a reduced cost. We also have many training materials available in the Dairy Hub, our dairy community website, that you can access by signing up through dairyinfo.org. 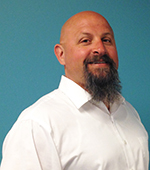 The author is a Senior Vice President of Digital Initiatives at Dairy Management Inc.